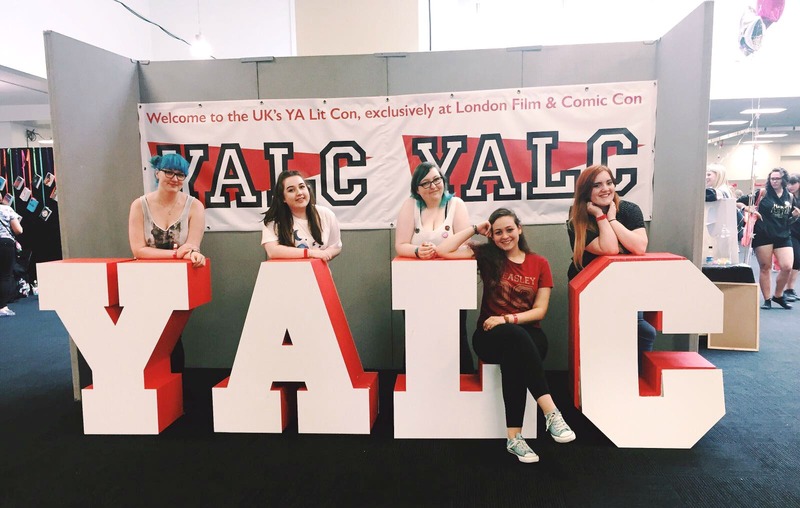 On the 27th of July, Becky and I made our way down to London ready for our first Young Adult Literature Convention also known as YALC! We spent the Thursday afternoon doing some shopping on Oxford Street, browsing Camden with Beth and then meeting up with Lauren and her boyfriend for Chinese food! 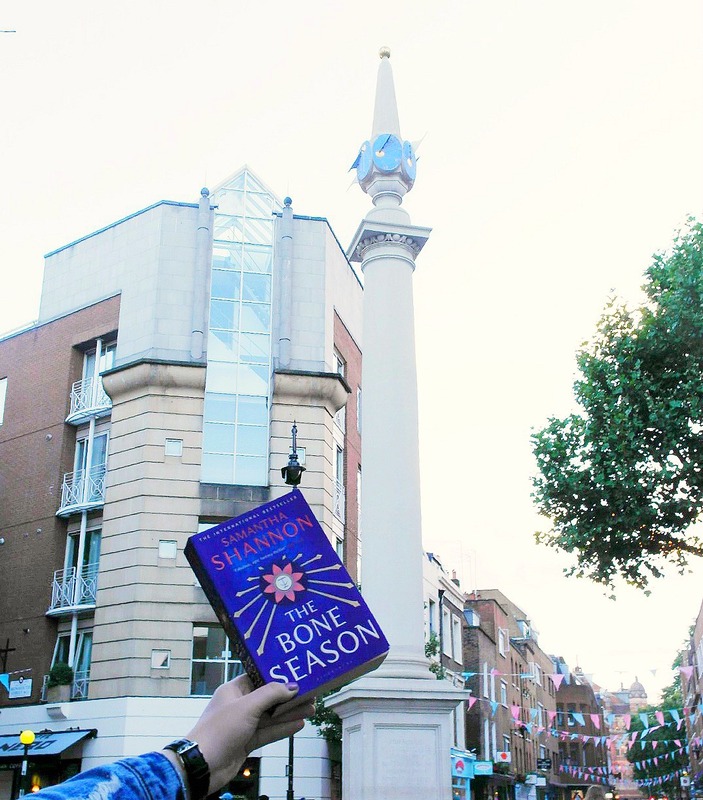 After catching up, Becky and I split away from the group and decided to visit Seven Dials, in honour of The Bone Season and meeting Samantha Shannon that weekend. Prepare for a whole lot of pictures that don’t match even the slightest bit, but who worries about that whilst you’re trying to make sure you don’t topple over the table onto the author? On Friday morning, we made our way to the Olympia where we met up with the rest of the gang and were introduced to Lauren for the first time. 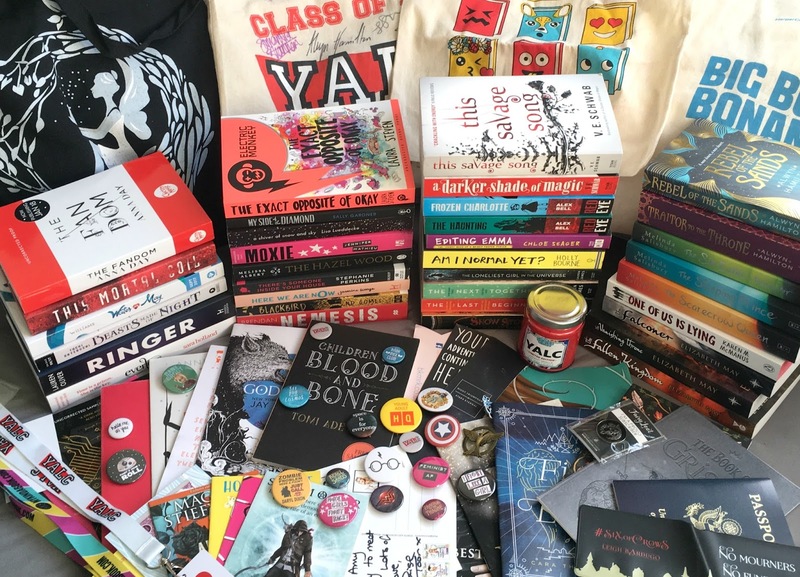 The first few hours at YALC were a bit manic, between rushing around to the different publishers, collecting our goodie bags, checking out the different stalls and generally just getting a feel for the place. I managed to meet all of the authors I had hoped to across the Friday and Saturday, I was so happy! Though, as usual my mouth decided to run away with itself and I turned into Borat (much to the amusement of my friends) whilst speaking to Samantha Shannon, as I ended the conversation with “bye very nice” as I attempted to say “bye it was nice to meet you”! However things definitely perked up when Karen M. McManus recognised me, and I also bumped into Lauren James who very kindly signed my copy of The Loneliest Girl in the World which she told me was the first ever signed copy. So exciting! I feel so lucky to have been able to pick up as many books (and swag!) as I did; some were arcs which I am so grateful for, and others I bought because I cannot resist a Waterstones store it seems. One thing that became an issue for me was the way that certain publishers handled the arc drops. This was all done via Twitter, which meant you had to be on your phone all day waiting for a tweet to come through that would most likely say “first X amount of people to run to the stand get a copy”. This caused a lot of stress and panic, and also meant that people who physically could not run missed out which is seriously unfair. There also seemed to be a lot of smugness around the stands, when publishers would know what book you were waiting for (after them hyping it up online all weekend), but make you wait in a huge crowd for hours which would then surge forwards once they decided to release the book. I missed out twice because of this, and even got shouted at very rudely by one of the publishers which made me feel super uncomfortable. Hollie’s post on this is much more articulate than mine! 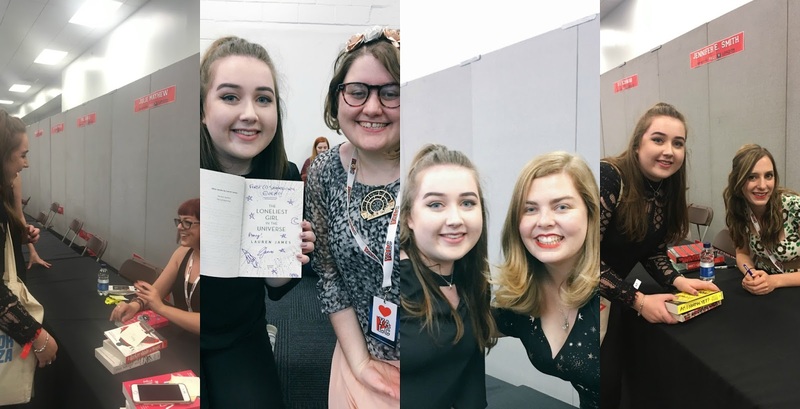 While most the weekend was filled with meeting lovely, like minded people, there were some who spoiled it by taking multiple copies of arcs, pushing to the front of queues, shouting at one another and generally creating an awkward atmosphere. But hey, I suppose you get people like that in any community and luckily I spent my time around some fab people who really made the weekend as amazing as it was! I hope that in the future, the organisers look at ways to promote the books in a way that is much more fair and not as anxiety inducing. Over the weekend we decided to go down to London Film and Comic Con as our wristbands meant that we could gain entry for free, and I’d never been but am a huge fan of Marvel and DC so couldn’t wait to get down there. We walked around the stalls which sold an array of things, from comics, to Funkos, to badges and even furry alpacas which a few of the girls bought. I’d love to go back and experience LFCC properly, and maybe even cosplay! Ok so onto the YALC haul… I am still so excited about this! As you can see, I got my hands on a lot of swag including some awesome samplers that I can’t wait to dig into and a lot of cool badges, some that I picked up during our trip to LFCC! The two piles on the right are the ones I lugged around with me all weekend to get signed, and the two on the left are those that I picked up during the convention. I’m particularly looking forward to reading The Exact Opposite of Okay, Everless, A Shiver of Snow and Sky, There’s Someone Inside Your House… basically all of them! I’m so glad I made the decision to go to YALC. 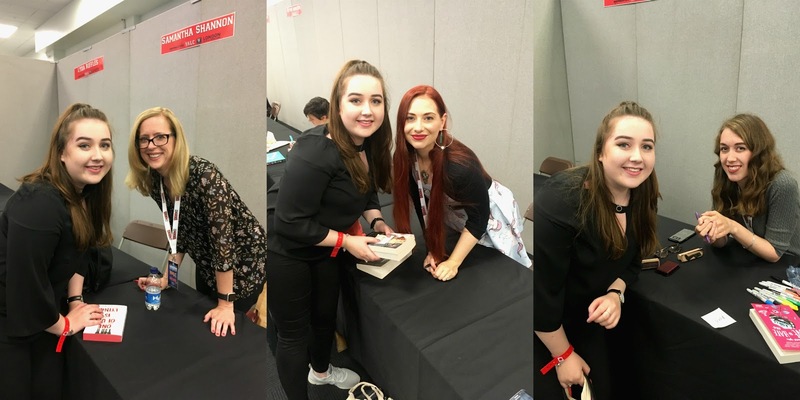 While there were times that almost put a dampener on the weekend (like having to move hotel rooms because of damp, and being shouted at by publishers as I mentioned), I had so much fun and definitely felt the YALC hangover on the Monday. It’s now been over a week but I’m still not over the exhaustion! I made some great friends, had a lot of laughs and came away with a lot of new reading material. I would love to go back next year but I think that there’s probably a couple of things I’d do differently. I think I’m going to write a tips post shortly. I hope that this post made sense; I had a lot to talk about, and I’ve probably still missed some things. I’d love to read your posts if you went to YALC, and would definitely recommend it to any booklover!